Nexstar Broadcasting is wanting to acquire even more stations. According to an article from Reuters the broadcaster could spend up to 650 million dollars on acquisitions over the next several years. According to the article its next target could be stations run by Local TV LLC. Nexstar head Perry Sook told Reuters, "At the right price I think we would be interested in a number of those assets but certainly not all." Well it's true, the reporter who quit KHBS/KHOG/Fort Smith after being assigned to cover the aftermath of severe storms has been hired at KFSM/Fort Smith. Jay Plyburn stormed out at KHBS/KHOG after not being appreciated for and/or being assigned a dangerous story. Not sure what he will be doing at KFSM..but please don't let him outside he just might quit! Source: KTHV Gannett Co., the owner of THV 11 and other newspaper and television properties across the USA and United Kingdom, announced Thursday that it is entering into a definitive merger agreement with Belo Corp., catapulting Gannett into the nation's fourth-largest owner of major network affiliates reaching nearly a third of U.S. households. Belo owns and operates 20 TV stations -nine in the top 25 markets - and their associated websites. The acquisition nearly doubles Gannett's current broadcast portfolio from 23 to 43 stations, including stations to be serviced by Gannett through shared services or similar sharing arrangements. Gannett will acquire all outstanding shares of Belo for $13.75 per share in cash, or approximately $1.5 billion, plus assume $715 million in existing debt for an enterprise value of approximately $2.2 billion. The transaction, which has been unanimously approved by the boards of directors of both companies, represents a 28.1% premium to the closing price of Belo common stock on June 12, 2013. President and Chief Executive Officer Gracia Martore of Gannett, said, "We are thrilled to bring together two highly respected media companies with rich histories of award-winning journalism, operational excellence and strong brand leadership." Belo's President and Chief Executive Officer Dunia Shive said, "This is an outstanding and financially compelling transaction for our shareholders. It is also a testament to the tremendous value our employees have created over Belo's long history and to the strength of our brand in the media industry." Kevin Trager from KCWY-TV, the NBC affiliate in Casper, WY. and Marlisa Goldsmith from KRBC in Abilene, Texas. Her bio states she's been with 11 since April but I don't remember seeing her until lately. Meanwhile their jobs page still lists numerous openings...including openings for an evening news anchor...and numerous producer openings. Shane Deitert will be joining the CNN/ACC on Monday, July 8th. Shane is a seasoned assignment editor with a passion for news. Previously, Shane worked as the Managing Editor at KLRT in Little Rock. 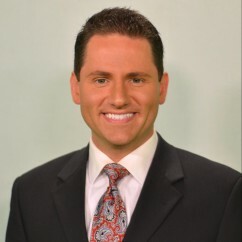 Shane has also worked at a plethora of CNN affiliates including WCIA (Champaign), KOAT (Albuquerque), KXAN (Austin) and KCEN (Waco). Little known fact about Shane is he worked as a communications specialist with the U.S. Navy in Newport, Rhode Island. To my Facebook friends, this is one of the hardest things I've had to write since joining many, many years ago. But this afternoon, I tendered my resignation from KTBS 3. After 10 and a half years. I have been offered the most incredible opportunity to handle public relations/community relations for Caesars Entertainment. I'll be working out of the Horseshoe and Harrah's Louisiana Downs in Bossier City. Words cannot describe what I'm feeling right now. I have loved every minute of every morning show. But there comes a time in your life when you have to assess what is right for you. I have chosen to start the trek down a new path. I want to thank you for your support, encouragement and love. The show must and will go on without me. Wendi and Brian will do a wonderful job, until Chrissi can return from her maternity leave. Thank you once again. KATV/Channel 7/Little Rock is in the process of renovating its newsroom. 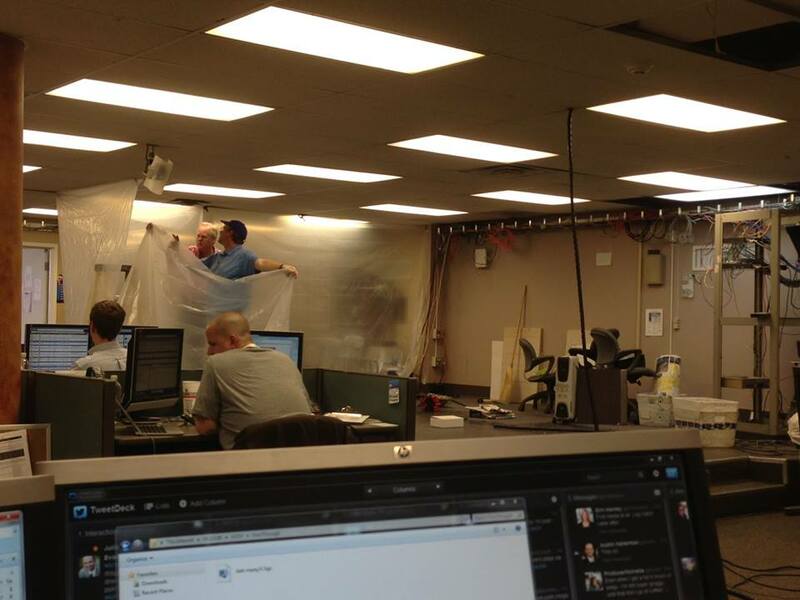 The station posted a pic of the construction area on its facebook page. KATV is still for sale as its parent company, Allbritton Communications is looking to get out of the tv business. No buyer has been found for some of the properties...including KATV. KATV reporter Jeannette Reyes received an on-air surprise kiss while reporting from Riverfest last weekend. The video was posted on Youtube and Reyes says,"A 15-year-old boy came up and kissed me while I was doing my live shot at Riverfest, Arkansas' largest festival. My photographer chased after him and made him apologize. I guess it made for good television!" Source: KATV KATV is saying goodbye to a friend and leader. 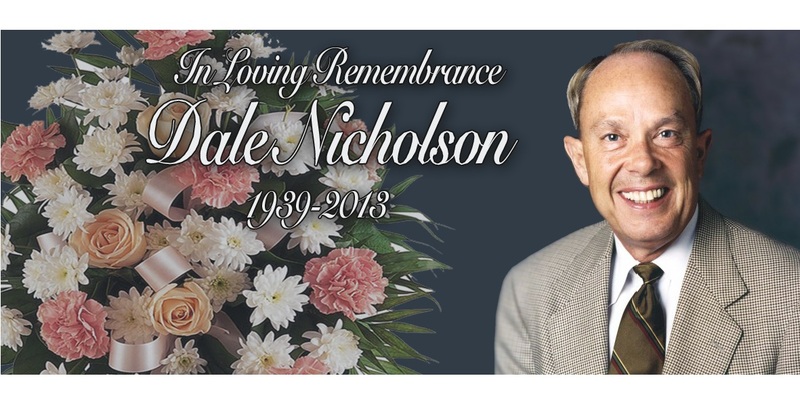 Channel 7 chairman and former general manager Dale Nicholson died at his home in Little Rock Saturday night. Nicholson began his broadcasting career in El Dorado at KTVE in 1960. He came to Channel 7 in 1962, where he served as president and general manager from 1974 until 2009. Nicholson was honored for 50 Years in Television by the National Association of Television Arts and Sciences with the Gold Circle award. He received an honorary doctorate from Philander Smith College and had been bestowed numerous humanitarian awards. 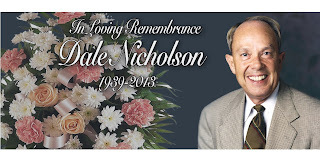 Nicholson is survived by his children, Kelli Miller and Nick Nicholson, grandchildren and great-grandchildren.